The mission of Redding STEM Academy is to develop curious and academically skilled young people who aspire to be principled and compassionate leaders. Through a rigorous K-8 college preparatory, personalized learning program, with a focus in science, technology, engineering and math, Redding STEM Academy affords its students the experiences, skills, and values that will prepare them for citizenship, high school, college, and global competition in the 21st century. Our programs strive to create students who are self-motivated, competent, lifelong learners. As the roles of science, mathematics, and technology grow in our society, schools must prepare students to thrive in a highly complex world. 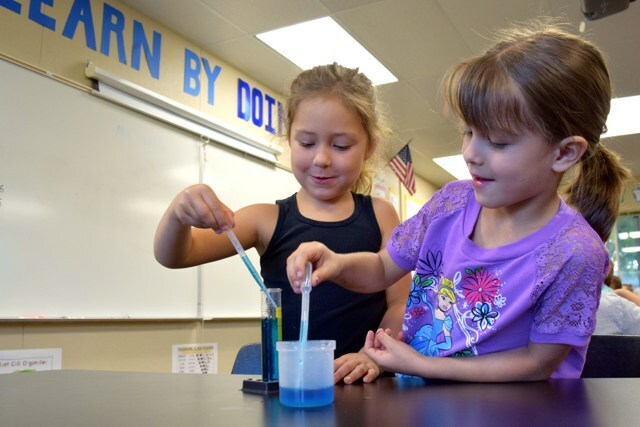 Redding STEM Academy believes that educated citizens of the 21st century must have a solid background in science, technology, engineering and math. With knowledge in these areas, students will be able to keep up with the rapid growth of the technological innovations happening daily. Educated citizens of the 21st century must have a love of learning that will enable them to be self-motivated lifelong learners who can adapt easily and quickly to changes. By providing children with innovative engineering design challenges, children learn naturally to question and solve problems. Students not only need to be good problem solvers, they must also have the ability to clarify and condense their thoughts. Redding STEM Academy students will be competent mathematicians and writers, who can do research and investigate questions they will face in high school, college, and throughout their careers.